How Do You Avoid An Event AV Disaster? Before planning AV for your next event, watch this webinar to avoid these major disasters! 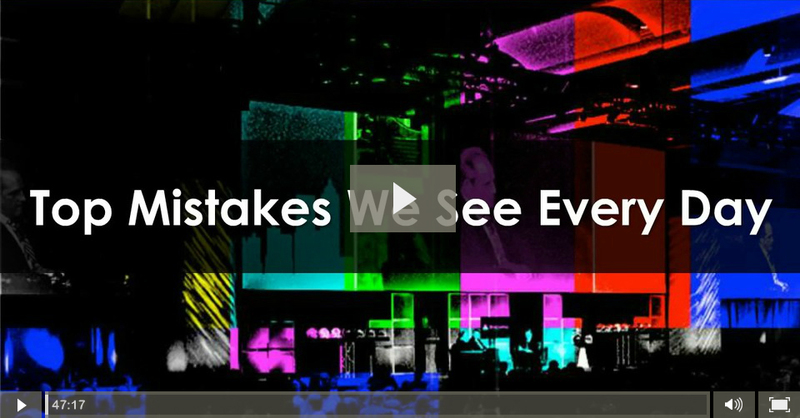 Industry expert and president of Endless Events, a Phoenix-based event production company, Will Curran walks you through the top mistakes that Endless sees every day that can lead to AV disaster. Sign up to Watch the How to Avoid and Event AV Disaster Webinar! Know what you need to make your vision a reality and sign up for our webinar today!